Advanced Solo Canoe means different things to different people… but in a few hours on Llyn Brenig, this session will focus on what one small part means – or could come to mean – to each participant. 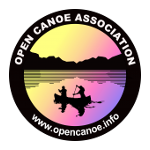 This introduction to American Canoe Association (ACA) ‘Freestyle’ will utilise modern solo canoes to inspire and nurture enthusiasm for subtlety, finesse and ‘feel’. Participants will explore what is involved in helping paddlers find their own, distinctive approach to connectivity and power transfer. The workshop will also introduce strategies to make the most of this subtlety, finesse and feel in in the context of meaningful trips and journeys. ← Natural Navigation, Foraging, Bushcraft and Wilderness Skills!